Isn't that beautiful? The Word of God tells us the future. 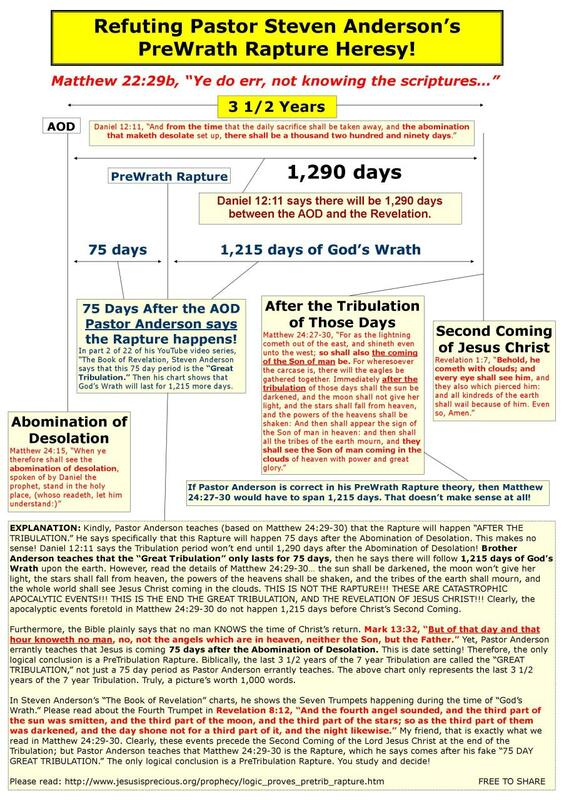 Bible prophecy is history written in advance. The Holy Scriptures mention a coming global government, ruled by one man, the Antichrist... “POWER WAS GIVEN HIM OVER ALL KINDREDS, AND TONGUES, AND NATIONS” (Revelation 13:7b). Notice that “ALL THAT DWELL UPON THE EARTH SHALL WORSHIP HIM” (Antichrist), whose names are not written in the Lamb's Book of Life. The whole world is going to be brought into line with Judaism. That is the religion of the Antichrist! Everywhere today, professed Christians are claiming to have found their “Hebrew roots.” It is becoming a huge movement. Another popular term today is “Torah observing Christians.” It's a big buzz amongst homeschoolers. This is the satanic merging of Judaism with Christianity into a false religion of end time apostasy. You've probably heard a lot of talk about “blood moons” and celebrating “feast days.” Beware of it, it is of the Devil. Jews only comprise 2% of the American population, yet Jews account also for 30% of Buddhists in America (aka, JewBu's). There will be a uniting of Judaism and Buddhism in the end times. We are hearing about Chrislam (Christianity merged with Islam). Satan is trying to dilute the different religions into one movement. The different religions won't lose their individual identities; but rather, will share a common religious view of Theosophical (Luciferian) spirituality instead of Biblical theology. This Luciferian dogma includes a tolerance for homosexuality. The Devil's message today is for everyone to unite in the name of peace. Daniel 8:25, “And through his policy also he shall cause craft to prosper in his hand; and he shall magnify himself in his heart, and by peace shall destroy many: he shall also stand up against the Prince of princes; but he shall be broken without hand.” The churches are being destroyed today by the deception of tolerating wickedness under the guide of God's love for everyone. Although we are commanded to love (1st John 4:11), we are also commanded to refute all works of darkness (Ephesians 5:11). It is a sin to lack either! Psalms 97:10 tells believers to HATE EVIL!!! Too many pastors, evangelists, missionaries, churches and preachers today are dipping their sails in sinful compromise, refraining from preaching against sin in an attempt to reach the lost with the Gospel. Consequently, churches have become soft on sin!!! When homosexuals feel comfortable attending church, something is VERY WRONG!!! We've even got pastors today who are blaming Christians for driving homosexuals away from God, allegedly because churches fail to love sodomites and baby them with a milk bottle, bib and pacifier. If people won't come to Jesus Christ apart from admitting being wicked sinners, they cannot be saved (John 3:20; 1st John 1:8-10). God only saves THE UNGODLY (Romans 4:5-6). There is a satanic agenda today to get the churches to embrace the homosexual community in the name of “love,” so that preachers no longer say anything offensive that may drive queers away! That is a wicked philosophy. Preachers must cry aloud against all sin and wickedness, without compromise and without apology! Here are several ways that Satan is deceiving the churches today. Satan has crept into the churches. I encourage you to read these many articles that I am linking to. I intentionally repeat many truths in my writings, because repetition is the key to learning. Every article that I write dilutes the total sum of all my articles. With that truth in kind, I am careful not to fill up my websites with garbage. I have visited countless websites, where there was so much information that I lost interest. It was too boring and overwhelming to read, in some cases. I want my articles to get read. I have one goal, which is to help you. I want people to get born-again. Then I want them to grow spiritually in the Lord. I want them to become a soul-winner, so they can win souls to Christ and be very happy in Heaven one day. I want you to better understand the world today, from a Christian perspective. Satan is a beautiful liar, and his sinister ministers are everywhere, corrupting the churches (2nd Corinthians 11:13-15). Heresy is creeping into our fundamental Baptist churches by the hour. Please listen to the MP3 sermon by Dr. Jack Hyles titled, “FUNDAMENTALIST HERESY.” Watch your back Jack! Dispensationalism is a false doctrine, which has been used to sneak Zionism into the churches. Zionism is manmade Israel. By tricking the churches to support manmade Israel, the Illuminati (Luciferians who control the world) are exploiting the churches to support the forming Beast system of the coming Antichrist. The most effective attack by Satan has been the modern Bible revision movement. By incrementally changing the Bible, Satan is gradually corrupting the Word of God to destroy the churches. The church today has lost her authority!!! The modern Bible versions are a part of the Luciferian conspiracy to build a New World Order. NEW WORLD ORDER BIBLE VERSIONS (an awesome 1:46 hour documentary). In a time of universal deceit, telling the truth is a revolutionary act. Prolific author, George Orwell, said that in his book “1984.” He is correct. Deception abounds today, from the lying mainstream newsmedia to the counterfeit Bible versions flooding our churches. The most frustrating thing about deception is how easily so many people buy into it. Author Mark Twain rightly said, “It's easier to fool people than to convince them that they have been fooled.” So true! If there is one thing I could teach you, next to the Gospel, it would be to think “objectively.” That is, question everything!!! Satan knows that the most effective deception is the half-truth. Satan often hides a LIE between two TRUTHS. The half-truth is the most effective deception, because in part it can be defended with incontestable logic! This is the case today with many false prophets, who pervert the Gospel. For example: Consider Evangelist Paul Washer's corrupt plan of salvation. He teaches that eternal life is a free gift, paid for by Jesus' blood, but then he plainly says that you cannot know you're saved in a moment. Mr. Washer teaches that it is wrong to write down your name and the date you were saved, in the back of your Bible. The reason why is because he says you've got to prove you're saved by the life you live. Folks, that is not the simplicity that is in Christ (2nd Corinthians 11:3-4). Discipleship is not evidence of sonship! Do you see how Paul Washer hides a lie between two truths? 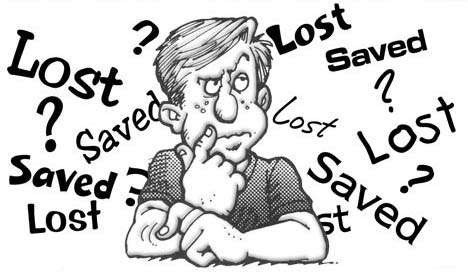 Beware of anyone who teaches that you cannot know you're saved immediately, right now, permanently. If salvation us a gift, and it absolutely is, then there's nothing that needs to be added. If you admit that you are a guilty sinner in God's sight (Romans 3:19), and you BELIEVE that Jesus is the Christ, the Son of God (John 20:31), Who died on the cross for your sins, was buried, and then bodily resurrected three days later (1st Corinthians 15:1-6), and that is your only hope for forgiveness of sins and eternal life... YOU ARE SAVED!!! Philippians 3:9, “And be found in him, not having mine own righteousness, which is of the law, but that which is through the faith of Christ, the righteousness which is of God by faith.” Believe on the Good News [Gospel] of Jesus Christ and the work is done!!! We are saved by BELIEVING the Good News! That's it! It is that simple to be saved. How you choose to live is an entirely separate matter of discipleship (Romans 12:1). God scourges and chastises His disobedient children (Hebrews 12:6-8). For a crash course on the New World Order, I highly recommend reading everything you can find by Commander William Guy Car (1895-1959). See, PAWNS IN THE GAME and SATAN: PRINCE OF THIS WORLD. Also, THE CONSPIRACY. You need to know that the ultimate plot of the Luciferian leaders of this world (aka, the Illuminati) is World War III. Also, please watch the 2:19 hour awesome, historical, eye-opening, documentary by Alex Jones titled, END GAME! I believe the Antichrist is alive and being groomed to become a world leader. The Bible calls him the “man of sin” (2nd Thessalonians 2:3). Therefore, the Devil is promoting all manner of sexual perversion and atheism to prepare the world to receive the “man of sin,” the “Beast,” the Antichrist. Revelation 13:4, “And they worshipped the dragon which gave power unto the beast: and they worshipped the beast, saying, Who is like unto the beast? who is able to make war with him?” A cashless society is coming. A highly technological police state is coming. The Mark of the Beast is coming. The Rapture is coming! Even so, come, Lord Jesus!!! Get Busy for God My Friend, Time is Running Out! Don't make the mistake of turning information into a god. Many people today worship information, instead of God. God didn't save us to BE GOOD, He saved us to DO GOOD! First, if you do not know 100% certain that you are saved, you can KNOW right now. All you have to do is admit you are a guilty sinner in God's sight and BELIEVE the Gospel. Eternal life is a free gift, please make sure you have it! If you are saved, then get busy for God, because your happiness in Heaven will be determined by your life down here on earth. Daniel 12:3 doesn't say that people who live moral lives will shine as the brightness of the stars; but rather, they that turn many to righteousness. We all have a duty to preach the Gospel with others. You'll never be happy in this life as a Christian until you become a soul-winner. Only God can save a soul, but our part is to share the Gospel with them (1st Corinthians 3:8).